Let the drive to legalize medical marijuana in North Dakota begin. Cannabis advocates can now officially start gathering signatures for a ballot measure that would allow patients with cancer, glaucoma and other ailments to possess and use marijuana . It also would allow dispensaries to set up shop under a regulated system, creating plenty of business opportunities. Supporters need nearly 13,500 valid signatures by early August to qualify the measure for the November ballot. Although it would be a relatively small MMJ market, North Dakota is still important to the overall medical marijuana movement. The more states that adopt medical cannabis laws, the harder it becomes for the government to justify its attacks on the industry. As of now, 17 states plus the District of Columbia allow residents to use medical cannabis. The Marijuana Policy Project thinks there’s a relatively good chance the number could soar to 28 states by the end of 2014, an estimate that includes North Dakota legalizing MMJ. 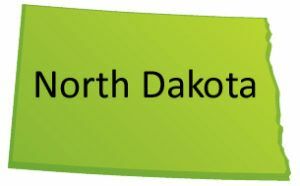 North Dakotans for Compassionate Care – a group that is supported by the Marijuana Policy Project – will head up the signature drive, though it is still in the process of launching its website. For more information or to volunteer, send an email to [email protected] or call the organization at 701-361-5800. Come on North Dakota! The more we speak up the more the feds are going to have to listen. Spread the news to add your signatures! I WILL DO ANYTHING TO HELP MAKE THIS HAPPEN IN MY LIFETIME.COME ON ALL U NODAKS IN PAIN,LETS ROLL!